This week Christmas Stamps are on Sale 20% off, in honor of our Christmas in July Event. The event will be from 10-4pm on Saturday and we will NOT have a make & take that day! Join us tomorrow, July 18th,for Demo by Nancy Pietras! Featuring Tim Holtz stains…a lot of us have them….let see what we can do with them! See you at 630pm! If you made a Pop up card with the AI dies demo’d last week, bring it in for a chance at a small prize! After each Demo there will be drawings for a few of the Demo’d items as will as small gift bags. We will have refreshments in the store, also. It is always a good time. Plan to join us! Join us for our make & take this Thursday 1-5pm Just $1 per card. Two designs. We provide everything. Lots of fun! Stop in! Check FaceBook for a picture of this Thursday’s Make n Take.I’ll post it Wednesday. This week only, all embossing folders 25% off! We got in an order from Elizabeth Crafts that included the “Dancing Butterflies” die that some of you have been looking for! We also got the Clarity Stencil brushes we have been waiting for. Most people who reserved the brushes have picked them up…. we have a set or two and 4 -5 of the larger individual brushes that are not spoken for. If you think you asked me to save you brushes and haven’t received an email from me, please call and let me know. Hope you all had a wonderful 4th of July holiday! We did! 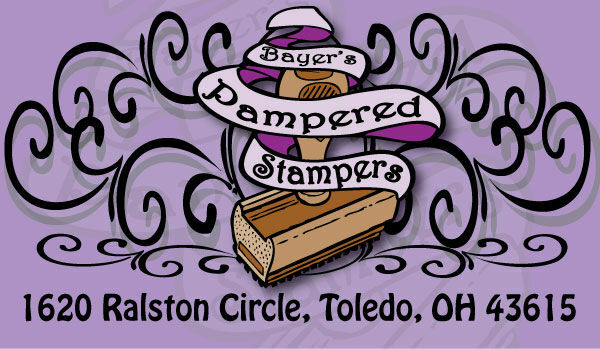 Join us tomorrow, July 11th, for a fun Demo by Kathy Snyder! As always we meet at 630pm. Kathy will show us how to make the new “Pop Cards”by Art Impressions. We have the Elephant, Bumble Bee and the Horsey in stock. Also, if you made something with the White Chalk paint that Peggy Demo’d a couple of weeks ago, bring it in for a chance at a small prize! We are gearing up for CHRISTMAS IN JULY!